The U.S. has signed a huge civilian nuclear deal with India – after pulling out of a similar agreement with Russia last month. It brings to an end India’s status as a pariah on the international nuclear market stretching back three decades. The U.S. made it clear in September that the sinking of the deal with Moscow was a response to Russia’s military action in the Caucasus. 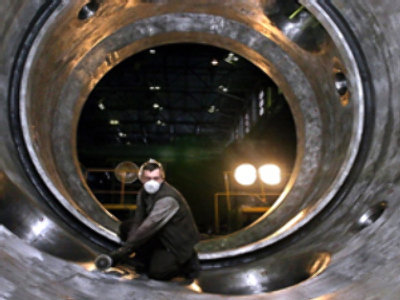 It came at a particularly bad time for Russia, with Prime Minister Vladimir Putin announcing a $40-billion investment programme for the country’s nuclear industry just weeks before. The agreement would have opened up possibilities for commercial trading in nuclear fuel, technology transfers and joint research, potentially worth billions of dollars to Russia. Negotiations had been taking place for ten years. India has not signed the treaties on Nuclear Non-Proliferation and Comprehensive Nuclear Test Bans, but it has a no first use policy. It conducted its first nuclear tests in 1974 after adopting civilian nuclear technology for weapons purposes. The 45-nation Nuclear Suppliers Group was set up in the same year in response to those tests and imposed a ban on sales of nuclear material to India. Bush, citing India’s exemplary nuclear record and its severe need for more power sources, applied considerable pressure on the group to have that policy overturned. The deal is considered one of the Bush administration’s few successes in international relations, although it’s feared that countries such as North Korea and Iran could argue that it sets a precedent in their favour. 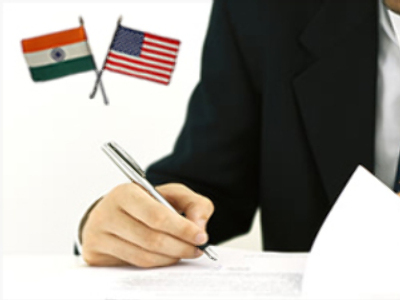 It heralds the prospect of warmer relations between India and the United States. The U.S. considers India the lynchpin of democracy in the region, while India has traditionally taken a cautious view of America. In addition, the deal will give India a boost in light of China’s rapid international ascent. The two emerging powers have a long-time border dispute and India cited China’s nuclear weaponry as motivation for developing its own. The deal will also put Indian relations with Russia on a new footing. India has close ties to the Soviet Union, and those relations have largely continued. Russia supplies India with about 70 percent of its military hardware and has an agreement to build two nuclear power plants in the south. Delhi pointed out its need for international ties in the field of nuclear energy quite explicitly at the time that deal was made, but military deals have been plagued by missed deadlines and financial disputes. India is expected to spend as much as $175 billion on nuclear facilities in the next 25 years. The Nuclear Suppliers Group decision opens up trading possibilities for other nuclear supplying nations, including Russia, so even if U.S.-Indian nuclear trading has begun, there may also be new opportunity for other nuclear powers.